In 2017, toys have become a bit more complicated than we remember. Rather than barbie dolls or toy cars, children now have more control and customization over their products, and they’re doing it electronically. 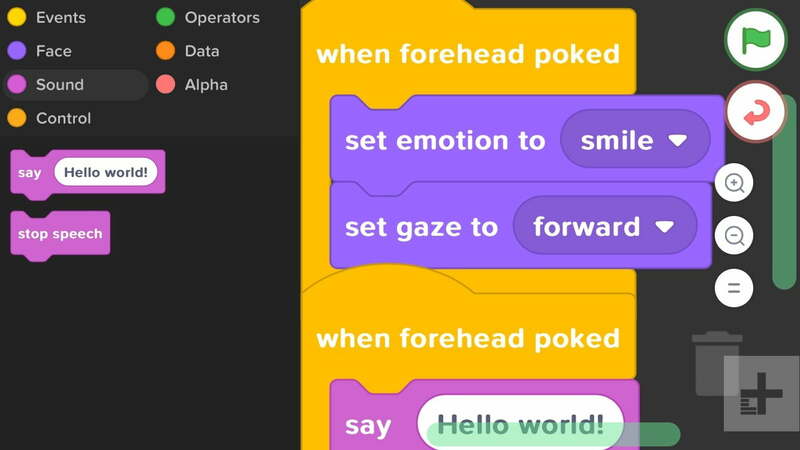 This week, we have an app that helps children (and adults) learn how to code in a fun and interactive way. Pixel, available for both iOS and Android, sets out to teach the basics behind robotics and computer science. With the app, your smartphone or tablet turns into your own personal robot where you choose all different types of characteristics. Using the logic blocks provided, you can customize everything from your robot’s personality to the colors and look of it. 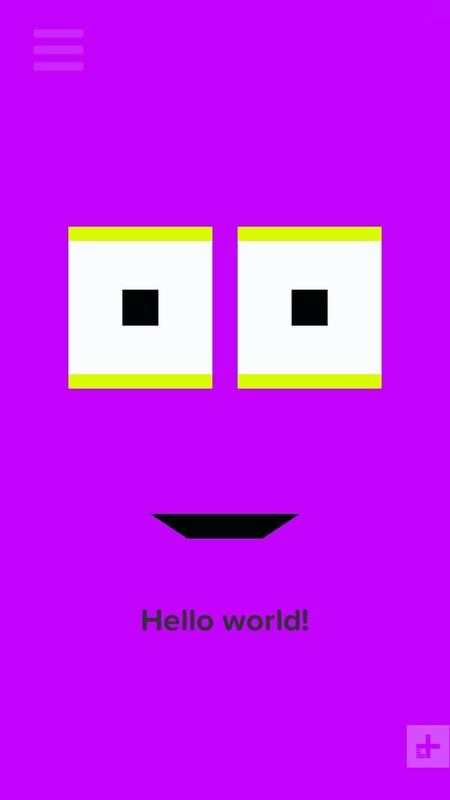 When first opening the app, users are greeted by the standard robot — named Pixel — ready for you to creatively give it personality and flair. By tapping on the icon in the left-hand corner, you’ll be able to choose from the “Brain,” “Connect,” or “Pixelize” sections. There’s a “Help” option as well, to read through commonly asked questions in case you’re having trouble or want to learn more. If need be, you also can send in an email of your own. Under the Brain section, you’re able to alter different actions such as emotions, events, sound, controls, and facial expressions. Each one is separated by color to make it easier to to see what you’re building. When you start placing the blocks on the blank page to the right, you’ll notice each one has a different groove cut out into it, similar to puzzle pieces. When switching from each action, you’ll be able to drag and drop them into their respective places. You can elicit a specific response from Pixel when you poke its forehead or its eyes, and it’s capable of speaking out loud if you type in a phrase for it. If you ever want to delete part of the robot you’ve put together, you can simply drag the block to the trash can at the bottom of the screen. When it comes to the different combinations, the possibilities feel endless, and I actually found myself constantly tweaking it. Once I found one combination, I tried pushing the limits to see what else I could come up with by piecing together the blocks. While the app is geared towards children, coding games were non-existent “back in my day” so I was heavily intrigued at the uniqueness of it. I was especially excited when I realized I could make it Halloween themed, just in time for the month of October. As far as aesthetics go, you can change the color of its face, eyes, pupils, brows, and mouth. By tapping the back arrow, you’re brought back to the main screen where Pixel lives. Once you tap on the menu, the Pixelize tab will bring you to a window with color options. After choosing whichever part you’d like to change, you can scroll along an HTML color picker tool — one in color and one in grayscale — which inform you of red, green, and blue values. When it comes to connectivity, Pixel can pair with Arduino based chips, Lego Mindstorms, and Raspberry Pi to use as a body. There’s also the option of using actuators and sensors, if you’d like to add even more. You can find devices to pair it with by tapping on the Connectivity tab in the menu, which will then search and display compatible devices. The app is meant to be able to cover a wide range of possibilities in order to let children’s imaginations run wild. Robot Playtime — the creators behind Pixel — have a strong mission to help others learn the necessary technological skills to flourish. 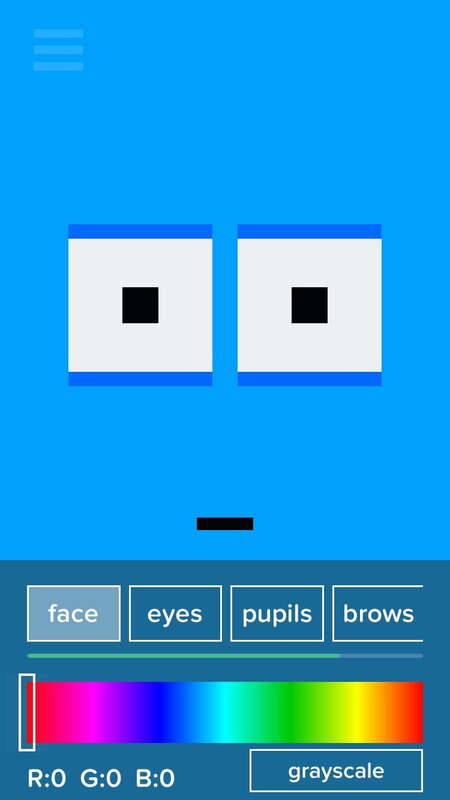 With Pixel, they’ve made it extremely fun to pick up on a crucial skill like coding without making it confusing. Since the level of difficulty varies depending on your skillset, you’re able to play and experiment with the app as a beginner and continue even if you begin to excel. The first few seconds with Pixel were definitely a little intimidating for me. I was initially drawn to how cute Pixel was and all of the customization options. But I had to get used to dragging the blocks and fitting them together — along with all the different options. As I started to piece more and more together, I started to visualize the entire map differently. The app does a great job of mapping out exactly how to get to each step in order to have your robot perform a specific move or emotion. Before you know it, you’ll start to see the cause and effect of it all and learn how all all the details work together. As a 90s kid, I thought the toys we had were extremely awesome — in fact, I feel nostalgic thinking about it. But if coding is the future of the products coming out for the younger generations, then I must admit I’m a little jealous.